American car manufacturer Ford is looking to jump deeper into the car sharing business with the launch of GoDrive. The service has been in London on a smaller scale as City Driving On-Demand for awhile now. The service will allow for users to get a car when they need it without having to return it to car bases or lots. In addition to borrowing the car, users will have access to guaranteed parking at their destination with the service charging per minute for the feature. 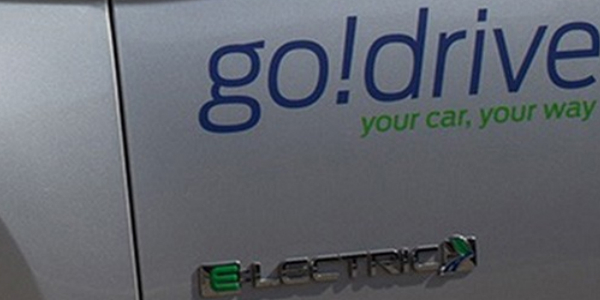 GoDrive will make use of cars in their Fiesta and Focus Electric family of vehicles. To start off, 50 of GoDrive’s cars will be available to 2,000 users via 20 London-based locations. The first five minutes will be free to allow users to get a hang of the controls and accumilating charges will be calculated in realtime via the service’s smartphone app. Ford Research and Advanced Engineering VP, Ken Washington said that the service looks to accommodate drivers in congested cities who are “open to new means of mobility.” Similar Ford car-sharing projects are taking place elsewhere with Car Swap (Dearborn, MI), Dynamic Shuffle (New York City and London), Ford Carsharing (Germany), and Share-Car (Bangalore, India). Each of these projects focuses on different structures to car-sharing. The experiments are possibly based around those cities’ density and traffic congestion.